Bee thought this. | Thoughts in progress of a geek, trying to patch the physical and virtual worlds with circuits. I am known to dream of right clicking real life objects. Talks space, electronics, hacking projects with occassional sorties into world issues and philosophical experiments. Please feel free to get in touch, especially if you can fly me into space. Oh, so getting the defusable alarm clock! Raspberry pi coming to the world of iBeacon. Oh it is so shiny – it draws you in. Always good to have OS alternatives for 123Catch at hand. From the ESA Image of the Day – this is a truly remarkable image. Taken from the ESA XMM-Newton Space Telescope, as it shifts its gaze from one X Ray object to another – it shows some notable celestial objects. Its a mosaic of 73,178 individual images adjusted for the Galactic projection/ plane lying across the centre of the image. Bright object on the right: Vela supernova, 150 x larger than a full moon. On the left is Cygnus Loop, an expanding shock wave caused by a star ending in a supernova <15k years ago. At the centre is Scorpius X-1 – the first object/source to be discovered through X-Rays alone, at 9000 light years from the Earth and is the strongest source of X-Rays apart from our own Sun. My eyesight fails me to recognise the Small and Large Magellanic Clouds – dwarf galaxies neighbours within the Milky Way. Dance of the X-rays / Space Science / Our Activities / ESA. via Dance of the X-rays / Space Science / Our Activities / ESA. 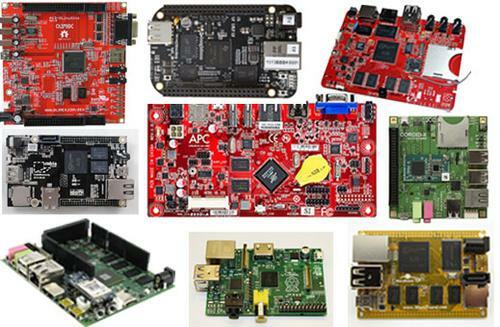 Broadcom’s Wireless Internet Connectivity for Embedded Devices (WICED™) platform (pronounced “wik-id”) eases development effort and simplifies the implementation of Internet connectivity in an array of consumer devices, especially those without existing support for networking. Developers use the WICED platform to create secure wireless networking applications on a wide array of platforms encompassing Broadcom wireless connectivity technologies. The WICED platform encompasses.